It’s no secret: media coverage will help you get your business noticed. Whether you’re launching a new product or have just closed an impressive funding round, having your announcement in the news can only mean good things. 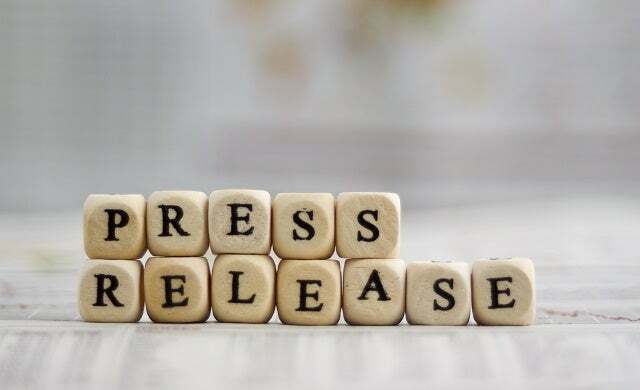 But when it comes to convincing journalists to cover your story, it’s not enough just to have something interesting to share – you also need to provide an attention-grabbing press release. Journalists typically receive hundreds of press releases every week, so sparking their interest immediately with your header is crucial. But how can you grab that busy writer’s attention? First, decide on the angle, or selling point, of your news. To do this consider the ‘so what?’ rule. Place yourself in the shoes of a person who has never heard of your business and has no attachment to it. Why would your announcement matter to them and the publications you’ve decided to send it to? Why would a journalist agree that your news is newsworthy? In this, timing is key. Look to the stories currently filling the news – is your announcement relevant to anything that the public is hearing about right now? An announcement that can be linked to current news and popular interest is more likely to gain traction in the media. You don’t have to make this link in your header, but be sure to point it out in your email introduction and release copy (more on those below). Equally important is the way you word your header. Even the juiciest revelation imaginable won’t get far if it’s long-winded or in any way ambiguous. Keep it short, punchy and factual – resist the temptation to make a joke or a play on words; if a journalist doesn’t understand the facts immediately they will move on (besides, puns are their job). Just like your header, the press release copy should be factual and easy to read. It should begin with what journalists call a lead sentence, which clearly reveals your announcement and is very similar to your header.Consider beginning this sentence with the name of your business, and keep it under 25 words. Like a news article, a press release should answer the six basic questions: who, what, where, when, why, and how? If you’re sharing news, it’s fairly safe to assume the ‘when’ element of the story is likely to be now or today, but make sure the topical nature of your announcement is apparent. Thinking through these aspects of your announcement will help you form a clear idea of what you want to write. Stick to what journalists call the ‘inverted pyramid’ structure, with the most important facts – including the ‘six Kiplings’ – at the start (filling the first and perhaps second paragraph), followed by the less vital but still useful details, and then finally the least relevant, more contextual information at the end. This will allow journalists to review your news easily, and ensure they see the salient points first. When it comes to stringing the words together, keep it short and simple and stick to sentences of no more than 25 words. Excluding quotations and your notes to the editor, your release should be three to four short paragraphs, or 300 to 400 words long. So, though it’s tempting to share everything about your business, avoid long descriptions and explanations – give only the key points of your story. Anything extra can be placed elsewhere, such as in your ‘notes to the editor’ at the foot of the release. Remember, if a journalist wants to know more they will get in touch. Accurate spelling and grammar is also important; mistakes can make your release difficult to read and give an impression of carelessness, so spellcheck carefully and have a trusted person proofread it. Quotations are a great opportunity to give a human, emotive perspective to your story. As the owner of your business, it’s likely the quote will come from you, but you may want to include a comment from a third party, such as a commercial partner, an expert, or employee close to the project. This should amount to a couple of sentences. Avoid repeating what’s already been said in the release. How do you or they feel about what’s happened? What does it mean for you and your business? Notes to the editor, usually set out in bullet points, can include the information you weren’t able to squeeze into your copy: more details about your business, product or services, and links out to relevant pages on your website. Format your header in bold, and size up the font slightly. At the start of your lead sentence, add the city you’re in and the date (for example London, April 21 2017) in bold. If you would not like your news to be revealed publicly until a certain time, make it clear that the announcement is under embargo by adding ‘Embargoed until’ followed by your preferred date and time. Insert your quotations at the foot of your copy. Beneath this, add a new line that reads ‘ENDS’ to signify the end of your announcement. Place your notes to the editor below this. Also add your contact details here. As they say, a picture says a thousand words. Most publications run images with their articles, so while not necessary, attaching a relevant photograph can stand you in good stead. For example, if you’re launching an innovative new product, a professional-looking photo of that product will not go amiss. But those which are poor quality – including grainy mobile phone shots – are best left out. When picking publications for your hit list, research the type of story each typically covers – there’s no point sending your release to a source that just won’t run it. While putting your message together, address your recipient by name at the start of each email. While this is more time-consuming than blind copying hundreds of writers into one message, it comes across more favourably as it shows that you’ve sought that writer out specifically. Next, write a short introduction concisely pointing out why your news is topical and relevant to stories currently in the news. Formalities are not a necessity here, so don’t waste words asking how their weekend was and if they’re liking the weather. Of course, it is a good idea to build a friendly rapport with journalists, but this is something to cultivate when they’re already familiar with you and your business. Below your short introduction, paste your press release. Do not attach it as a separate document, as this only creates a more cumbersome and slow experience for the recipient. If you’re a product business, you could also consider researching journalists’ office addresses and posting samples – they’ll be more inclined to write about your product if they’ve tried it themselves. One way to entice a journalist is to tell them that this news is being offered exclusively to their publication. However, if you do this you must do it honestly and refrain from sending your release anywhere else. If one publication has been given the exclusive but another has also received the release and reveals the news first, you will gain a less-than-savoury reputation at that first title, and they likely won’t pay much attention to you going forward. Before sending your release out, remember to pick an email subject line that clearly and concisely reveals your announcement – using your header is a good idea. Again, don’t make a play on words, and never just write ‘press release’. Once you have done all of this, you’re ready to send your press release. Don’t feel that you have to phone or email ahead to ask journalists if you can send them a release or tell them to look out for it – this is something many journalists say wastes their time. Just hit send. So, what are you waiting for? It’s time to get your news – and your business – the attention it deserves. Good luck! Browse Startups’ free guides for more on PR and marketing.